How long have you been doing this and how did you become a psychic medium? I have always had a way of knowing things that I had ‘no way of knowing’, but there are a couple of defining moments around my psychic abilities that I would like to share with you. My first actual memory of connecting with spirit was when I was young and I knew that my grandfather was going to die, and I knew it before there was any reason to think that anything would happen to him. After he died, I felt that because I had thought of his death, that I had somehow caused it to happen. After that I chose to push away the amazing ability I came to this life with. Over the years I had occasional readings from other mediums who always told me that I should be doing what they are doing, but I just never felt like I could. Then I had a very defining moment in my life when my mother died. She was my best friend and had been ill for sometime before she left this life. I had a reading shortly before her passing and was told that purple violets would be a signal from her once she was in spirit. It would be a physical sign that she is with me and wanting me to know it. Well, I could keep you here forever telling you about all the times that purple violets have shown up unexpectedly, but I’ll share my best one with you in a moment. When Mom passed I was devastated, lost, and heart broken. I felt that I couldn’t go on with my life without her and really wanted to be able to talk to her directly, so I began working on connecting with spirit. When I asked for help to be able to do this, amazing things began to happen. I began developing my intuition and connection with the Divine, and my guides, and my loved ones in spirit. But I was still not ready to let anyone else know that I could do this. This was just for me, so I could still be in touch with my loved ones that I missed so much in life. I took classes with Mediums and teachers I respected and felt drawn to work with, listening to my guides and following wherever I was led to help me gain confidence in my ability to connect with those in spirit. The second defining moment in my life happened when my younger sister Linda became ill and passed away very quickly at just 38 years old. Linda and I were just a year and a half apart in age, and we had shared a room together for half of her life. We shared everything as we grew up, and she was the closest to me of my sisters. I was blessed to be with her when she transitioned into spirit, and I had a profound physical experience as her soul left her body. I literally felt the rush of energy as it passed through me. I now know it was meant to happen so that I would be aware that I could sense these things. I believe it was my sister’s gift to me as she left this world. After my sister died I felt lost and alone again, but then I began to be able to know that she was still with me, and so was my Mom. I now had my two biggest supporters encouraging me from spirit to take this path and to share my gifts with others so that they can receive the comfort of connecting and receiving messages from their loved ones who are no longer in life. I have continued working with spirit every day since, helped tremendously by the support of my loving husband, yup, I have a terrific partner I get to share my life with now, and I feel my Mom not only gave me the strength to get out of an unhappy connection but that she brought me the perfect man for me! She told me not to settle for less than I deserve, the last advice she gave me while in life. So, time for my favorite purple violet story. As part of the funeral process for my sister, her husband Mike and I had to be physically present to identify her body right before being cremated. It was a long, draining day and we had just gotten home and sat down, both of us feeling totally deflated emotionally, when the doorbell and the telephone both rang at the same time. I got up to answer the door and Mike answered the phone. At the door was a floral delivery with a huge Purple Violet plant!! I mean the biggest one I have ever seen – then or now! On the phone was Mike’s aunt, who has psychic abilities herself, calling to find out if we got the plant she sent. She said she wanted to send something to assure us that Linda was okay, and didn’t know why, but she was compelled to make it a Violet. I immediately told Mike that the purple violet was Mom saying Linda was with her and all right, which totally comforted us and was exactly what we needed to know at such an emotionally draining time. Thanks Mom! So how did you start working with clients? When I was ready to start sharing messages with others I began by only offering readings through email. I didn’t want to feel that I was letting my clients reactions to the messages I was sharing affect what I was giving, so I was hesitant to do readings face to face. I was still a little skeptical of my gifts, and I had to be sure that I was truly connecting with Spirit and giving messages for the best and highest good of those asking. I found that I was very successful at connecting with people on this level, and with the encouragement and support of my husband and daughter I opened up to expanding my offerings to include readings by phone and in person. There is no doubt that this was the right path for me because within a month of setting this new intention I was invited to take an office at an established holistic center within three miles of where I live! I have now made a commitment to dedicate the rest of my life to sharing messages from Spirit with those who wish to gain peace of mind and a connection with their loved ones who have passed. What types of people get readings? There is no one type of client who gets a reading. I am honored to have served clients from all walks of life, from just about every state in the U.S., and from more than 20 different countries around the world. As a Psychic Medium, I am able to help you in two ways. I can help if you are seeking a connection with a loved one who has passed or if you are seeking spiritual guidance about your life path. Most readings are a blend of the two. How are you different from other Psychics and Mediums? There are two main things that separate me from other psychics and mediums. I only work in the light, and I ask for messages for only the best and highest good of everyone involved. I don’t deliver ‘doom and gloom’ type messages or death predictions. I treat you with compassion and empathy and seek to provide you with the confirmation, validation and peace of mind that you are looking for. Unlike some Psychics who only do in person readings, I also offer readings by phone or by email. in addition I am available for group readings and psychic parties. No matter which format you choose, I am able to connect with your energy and share with you the messages and insights I receive from spirit. 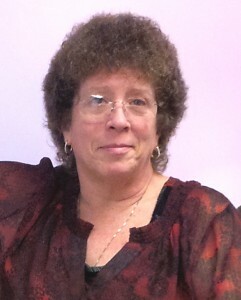 Donna Marie, I feel that you are the right Psychic Medium for me, how can I get a reading with you? I offer several different types of readings. Click on the menu on the left hand side of this page to explore your options, then choose the type of reading that suits your comfort level and that resonates with you. Ordering is safe and easy, just follow the instructions on the order page.